Scrapping industry provides enough opportunities for scrappers to earn and the environment to be protected from degradation thanks to recycling. Recycling metal scrap prevents harmful metals from getting in contact with the air, water or ground which otherwise pollutes them. Now, let us delve into the importance of one such scrap metal which is iron. Iron scrap metal which is recycled is used for various purposes from construction of roads to bridges. Iron metal scrap also has its uses in automobile manufacturing and aircraft building. Iron is a cost effective metal and relieves the burden of undue exploitation off precious natural resources. Metal scrap in the form of iron is used to clean water and polluted industrial wastewater. The process of cleaning polluted and harmful water with the help of scrap metals is a boon to the society, making clean drinking water more accessible to people. Iron scrap metal is also used to design useful items like tins and cans at affordable costs which benefit industries like food manufacturing and beverage. The best thing about iron metal scrap is that it largely reduces the ever-increasing usage of natural resources that are sparsely available. 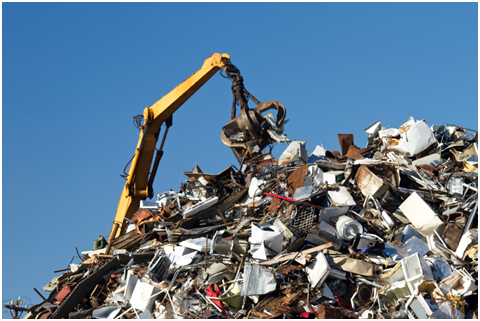 In case if you’re looking out for a Dubai scrap trading company that deals with all kinds of metal scrap then contact us. We provide the right value, guidance and services; every time.